Michael is a partner in the Bankruptcy, Restructuring & Creditors’ Rights practice group of Hunton & Williams LLP, based in their New York office. With more than 30 years of legal experience, he is experienced in all aspects of chapter 11 bankruptcy practice. 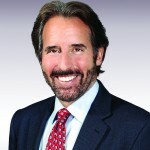 Michael has earned a reputation as one of the nation’s leading bankruptcy courtroom advocates. He also served for the American Bankruptcy Institute (“ABI”) as President (2004-05), director (1996-2008) and chairman of the board (2006-07). At present Michael serves as Co-Chair of the Section 363 subcommittee of the ABI Commission to Study the Reform of Chapter 11, Vice Chair of the ABI’s National Ethics Task Force, and as an advisory board member of the ABI’s New York City, Georgetown Views from the Bench, and VALCON conference programs.